For the 23nd consecutive year, the National Affordable Housing Management Association (NAHMA) announces the winners of its annual Communities of Quality ® (COQ) Awards program. These awards honor the best multifamily affordable housing communities across the country. 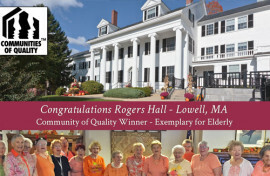 Rogers Hall Apartments is a 60-unit apartment community for seniors that is a Department of Housing and Urban Development (HUD) Section 202 elderly housing development. 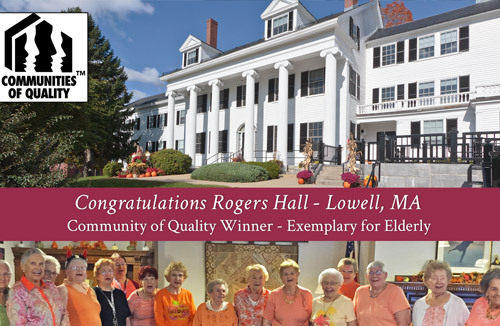 Besides supportive services and coordinated activities, Rogers Hall provides its residents with an affordable aging-in-place model.